Looks like a fun way to store CARS for kids …even lights up! Service station stands over 2 feet tall. 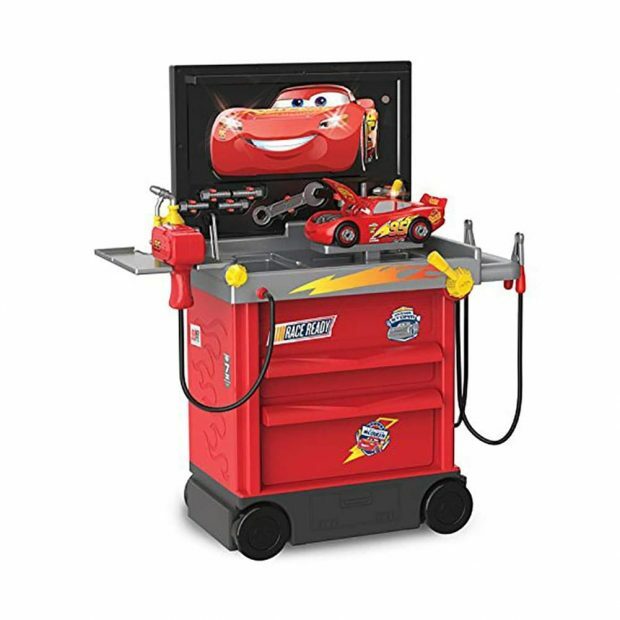 Lightning McQueen character graphic lights up and makes realistic car sounds. Give Lightning a race ready boost with the play jumper cables.